Do you want to Look Inside your Sewer Line Today? Do you want to make sure your sewer pipe is in a good shape and has a proper drain flow? ? Call us Today and Have a high-quality reliable video inspections of your sewer pipelines fast from Sewer Camera inspection Sacramento, New Flow Plumbing Sacramento. Many professionals provide colonoscopy’s on your living body. We do the similar procedure but on your sewer system instead. Our report will allow you to clearly see all on a digital monitor empowering you to make the best informed decision possible about the wellbeing of your pipes. 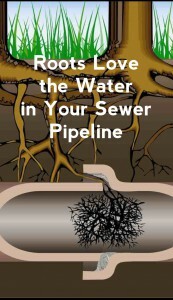 Uncover the reason for your sewage trouble no matter if it is caused by roots, breakage or some other reason. Understand the severity of the problem you are dealing with in your waterlines and exactly how critical it is or isn’t. Know where the actual location of the problem in your pipes is at, Sewer Camera Inspection Sacramento, New Flow Plumbing Can help you. Reveal how deep seated your piping problem is and if you are dealing with a surface problem of 2 feet or more serious issue extending down 8 feet or more.